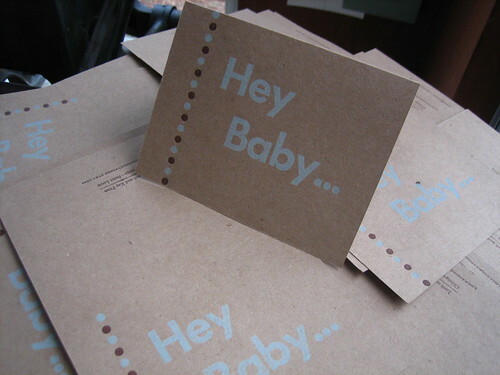 Check out these cute baby announcements I printed for my friend Ann, who’s good friends just adopted a newborn baby boy! 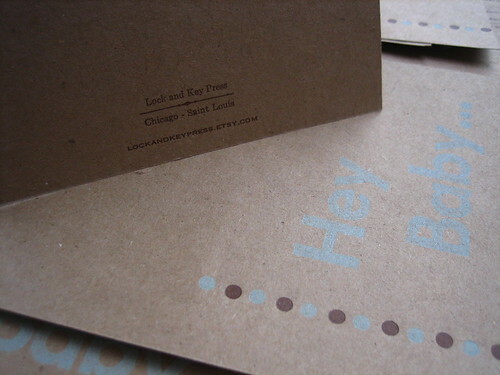 Printed on the Greengrocer’s Brown Bag 100% Recycled paper (which I LOVE), all hand set type. The dots were a little challenging to line up perfectly, don’t know why they misbehaved so much. Personally, I like the slight imperfections of hand printed ephemera. Shows you it really is hand made, and not mass produced. No really, that’s not an excuse… I like it. It has become part of my ‘style’.